Darjeeling the queen of hills experiences moderate climate through the year. Every nook and corner is imbibed with timber, tea, and tourism underpins the economy of Darjeeling. People often call this place as Queen of Hill Stations. The place has moderate climatic conditions with all five distinct seasons in a year. Well for leisure travelers the best time to visit Darjeeling is from September to June that is autumn, winters, springs and summers. At one end autumn and spring offers rejuvenating climate whereas the winters are accompanied with chilled weather in contrast to the bracing summers. During the monsoon, the climate offers a mystic hue abundant rainfall. The temperature nestles at a range of 15 to 20 ÃƒÆ’Ã¢â‚¬Å¡Ãƒâ€šÃ‚ÂºC thus making the place risky and at times there are chances the place may bump into a landslides. Nonetheless still if some adventure freaks want to admire the freshness of its nature then the monsoon is an ideal season for them. Winters –October –February –these months witness chilly winters, with temperature fluctuating between 5 0 Cto 70 C. This is an ideal time for holidaying. Make sure you carry warm clothes. Summers – March – May – summers are cool and refreshing with mercury levels never soaring beyond 250 C. These months attract lots of tourists, to explore the lovely lanes of Darjeeling and enjoy the comforting summers. Monsoon –June–August– monsoons in Darjeeling begin from July and last until August and are accompanied with heavy to medium torrential rains. The place is simply remarkable with lush green environment and panoramic views. Very Cold Visiting the place during this month can be the best choice to spend your holidays. January being the coldest month of the year offers a dip in the temperature to an extreme level. Hailstorms can be a frequent occurrence during this period. It is a great month for taking up packages for honeymoon in Darjeeling. Heavy woolens are recommended. Very Cold The weather is very cold in the month of February. It is perfectly an apt decision planning a visit to Darjeeling and to endure the natural beauty of place. You can enjoy the weather as the rise in temperature helps keeping the chill under control at times thus making outdoor activities much more fun. Moderately Cold With the beginning of March the climate begins to warm up giving a new life to the natural beauty. It is the most beautiful month as spring dawns thus facilitating preferable weather conditions, favorable for indulging in sightseeing and outdoor activities with family. This month is one of the ideal duration for tourism in Darjeeling. Pleasant This is the month when the weather becomes pleasant with cool days and chilly evenings. Tourist coming from hotter region will surely have a good time vacationing and experiencing various adventure activities like hiking, rock climbing, camping etc. Woolens are a must at night. Pleasant May is the month that brings heat and warmth in the environment. Temperature starts to warm up making it comfortable for outdoor activities. This month offers maximum tourist attractions with warm days and cold nights. This is the perfect time to enjoy with friends the adventurous and numerous water sports activities in the hills of Darjeeling. Pleasant It is a popular tourist month; the first few days of this month have warm and comfortable weather. You can enjoy blue and cloudless sky. Towards the mid of this month monsoon begins. The intensity of monsoon shower varies but it is not a major cause of inconvenience. Tourist need to carry rain protective clothes and umbrellas. Rainy In this month the city sees the maximum amount of rainfall. The heavy monsoon shower almost brings a halt to the lives of the people. July receives the highest amount of rainfall accompanied by lightning and thunder making it the wettest month of the year. Due to rains landslides are common thus seasonal activities might be a challenge. Rainy Monsoon continues and the place receives heavy rainfall. Such climatic condition can be problematic and can cause disruption to your holiday. The place is prone to Landslides and it can be risky taking up any trip. Travelers who are planning a tour to Darjeeling are suggested to avoid visit in such seasons. Pleasant The monsoon season starts to shift but occasional rainfall can occur. The pleasant weather is the beginning of the official tourist season for Darjeeling. 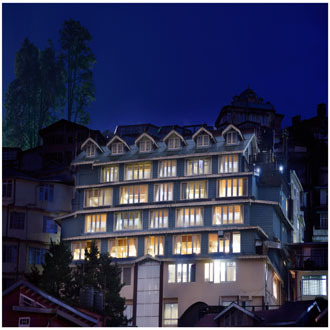 You can roam around the city, explore neighboring towns and enjoy the scenic breath-taking views of the hill-station. Moderately Col It is in the month of October that Darjeeling has its natural beauty blossomed to maximum. The cool weather conditions and chilly nights, offer a good time to its tourist to come and enjoy their trip at the Queen of Hills. One can take up tour package from Kolkata and enjoy all kinds of adventures. Moderately Cold The temperature in November starts to dip down and give rise to winter season. The climate can be quite cold still you can enjoy the clear sky which makes it favorable for tourism. This month can be great for people who are planning an adventurous ride in the hills of Darjeeling. Very Cold The month of December is the commencement of winters with the weather conditions getting much colder by the end of the month. December is one of the best times to experience the most enticing view of the Eastern Himalayan peaks where the height and stunning views will make you filled with hope and refreshment.